Two Keswick runners went to The Peak District to take part in the Edale skyline race at the weekend. It was dry underfoot but with harsh, cold winds across the tops. 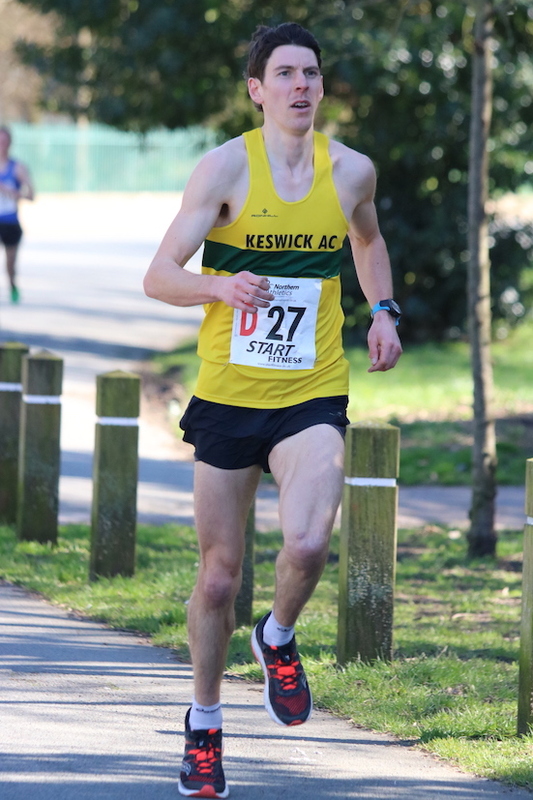 This race record has stood since 1999 when local Gavin Bland set a time of 2:34:39, but on Sunday Keswick’s Carl Bell set a new record of 2:34:11, a year after Victoria Wilkinson broke the Ladies record on the same course in last year’s English Championship race. The race has changed quite a lot over the years due to restrictions on running over certain areas and improvements to the paths. The course is longer now at 21.5 miles but there are some parts that are quicker than in previous years. 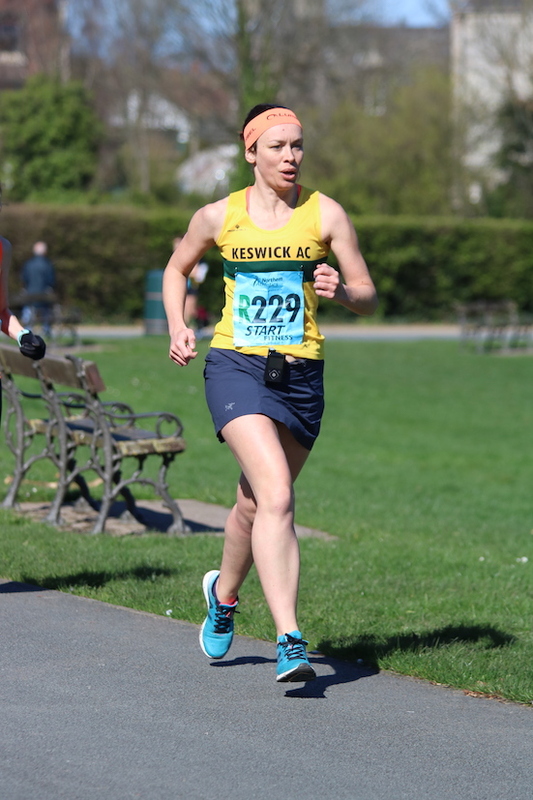 The second Keswick runner taking part was Jenn Mattinson who had a brilliant run coming home 3rd lady in 3:25:40, taking 20 minutes off her time from last year. 24 Keswick runners took part in the National 6 and 12 stage Road relays at Birkenhead on Sunday. A team of 12 men and 2 teams of 6 women took to the start line in what was a great social event. Everyone really enjoyed the day and results were really good too, with a lot of new faces taking part in the event. The men’s team finished 20th overall, a great result considering the size of some of the other national clubs, and the ladies finished 33rd and 44th. 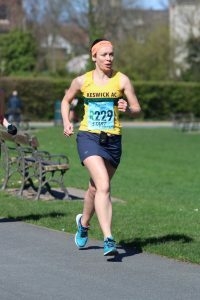 Locally, Keswick’s Causey Pike race was won by Borrowdale’s Kim Collinson, with Keswick’s John Battrick in 2nd, and the women’s race was won by Kirsty Hall of Ribble Valley Harriers. Then on Sunday, Nothern Fells’ Carrock Fell Race was won by Keswick AC’s Hannah Horsbrough after a good battle with Hem Hill’s Sharon Taylor. Eden’s Noah Hurton won the men’s race.